A few days ago, I attended a private event that WatchBuys was holding in a NYC hotel. WatchBuys is the authorized US retailer for several German watch brands, principal among them is Sinn. The first nice watch I ever bought, around four years ago, was a special edition Sinn 358 Jubilaum, a limited edition timepiece created for their 45th anniversary [pictured above]. To me, Sinn was the single best choice of a quality mechanical watch in the $1-3k range. The dial and function was stunning, and I really enjoyed looking at the decorated Valjoux 7750 through the sapphire caseback. I still regret having sold it. One of the most interesting features available on most modern Sinn watches is that they are filled with an inert gas mixture. You can tell the ones that have this as most have a small 'Ar' in a circle on the dial, and a cylinder in the case which changes color as the gasses escape. According to Sinn, this helps to keep dust and moisture out of the case which means the oils in the movement last much longer. A watch I had seen online before, and always caught my eye, was the Sinn 356 Flieger II with a unique copper dial. The dial catches great light in real life and the watch is both highly legible and functional, with a chronograph, day and date. I also appreciate the retro acrylic crystal on it, and for a shade over $2,000 I nearly pulled the trigger right there and then. Additionally the lume on this watch is fantastic and bright. It would be a terrific watch for a man, but even more so for a woman. The only downside, and I feel this way about most of Sinn's watches, is that the bracelet feels a little bit cheap. 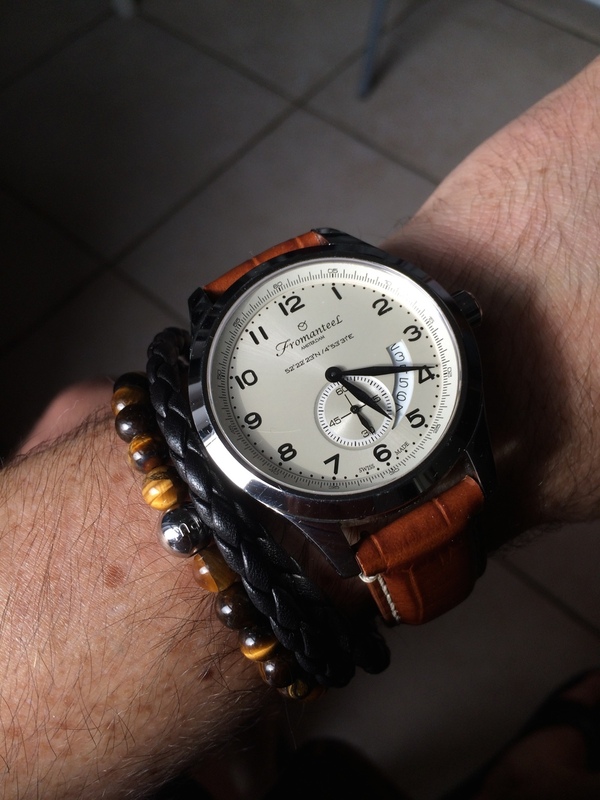 For a watch that is priced this well, its a small sacrifice to make and it would look nice on a leather strap. The next watch that piqued my interest was the Sinn 140 SZ-01 Movement. While at the higher end of the Sinn prices ($4,890) it also has some real history. When I played with it I was reminded of the Omega Speedmaster Mark II, and upon researching it after the event, it too has some space history. In 1985, German Physicist and Astronaut Reinhard Furrer used the original Sinn 140 to prove mechanical watches can operate in a weightless environment. In 1992 German Astronaut Klaus-Dietrich Flade took the Sinn 140 with him on the Mir 92 mission to the Russian Space Station. This re-issue is a remix of the original with some cool updates like the black PVD coating and inert gas filled case. I'm also a big fan of the inner rotating bezel and the splashes of orange on the hands. With a chronograph and date, you are definitely getting a hefty amount of watch for that price tag. This is a large watch, and at 44mm wears more like 46mm, dwarfing my small 6.5" wrist, especially with the help of the chunky leather strap. If dive watches are more your style, Sinn has a nice selection of those as well. I had seen pictures online but they never really did anything for me. However in the elevator up to the event, I started chatting with a fellow invitee who was wearing the classic Sinn U1 [below left], and it looked great on his wrist. Understated but clearly tough as nails. The Sinn 'U' range is made of the same steel as Submarine hulls and is highly resistant to salt water and corrosion. German submarines were known during WWII as U-Boats, which is likely where the name for the collection came from. Nearly all their U divers are tested to 1000m, which is over 3x deeper than a Rolex Submariner. The newest pieces include divers made with black PVD coating, as well as some made of titanium and with extra complications. The rubber strap feels high quality and the titanium models are shockingly light on the wrist. With SuperLuminova on the hands and markers, these glow like a christmas tree after exposure to light. One section of the event was for new releases from Basel 2014. Of the dozen new releases, my favorite by far was the Sinn 857 UTC TESTAF Lufthansa Cargo. Having previously released a limited edition watch with Lufthansa, which was extremely popular, Sinn has done it again. 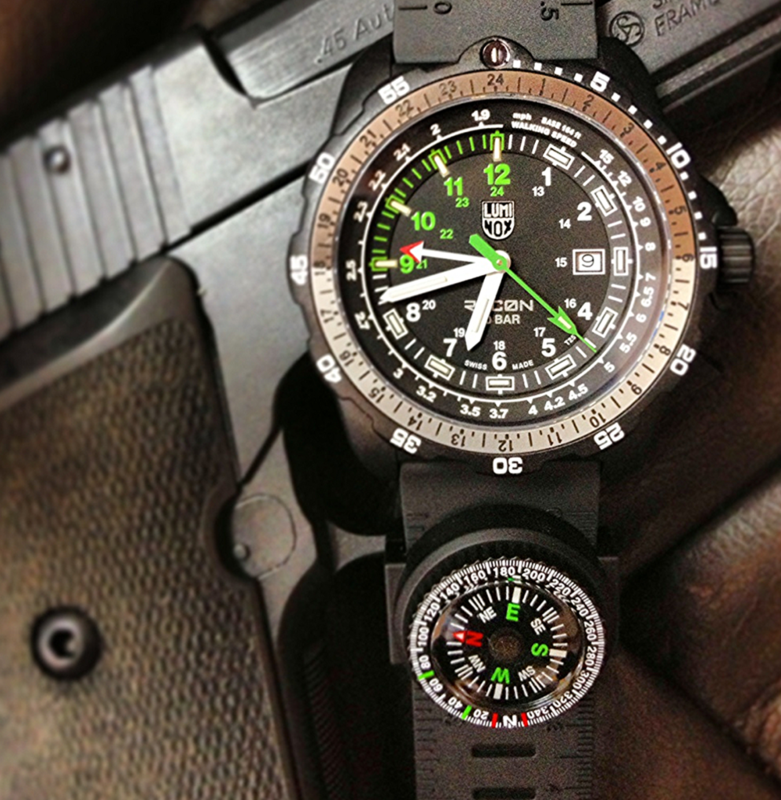 This watch is geared at pilots, and carries a TESTAF certification. TESTAF is a relatively new standard to define a watch that is developed to be worn in an airplane cabin's atmosphere. You know how serious diving watches have an ISO certification? It's like that, but for pilots. At 43mm it is not a small watch, nor is it huge. The narrow bezel helps the illusion that it is small while the face is big, balanced and super legible. But I'd be lying if I didn't say that my favorite part is the awesome little airplane hand that keeps track of a second time zone. Orange is a great color to add to black and white and putting the 24-hour track on the inner part of the dial makes it far less distracting than most watches. The date complication and rotating bezel round out the watch as highly functional, and the two planes printed on the dial in light grey add visual interest without being distracting. 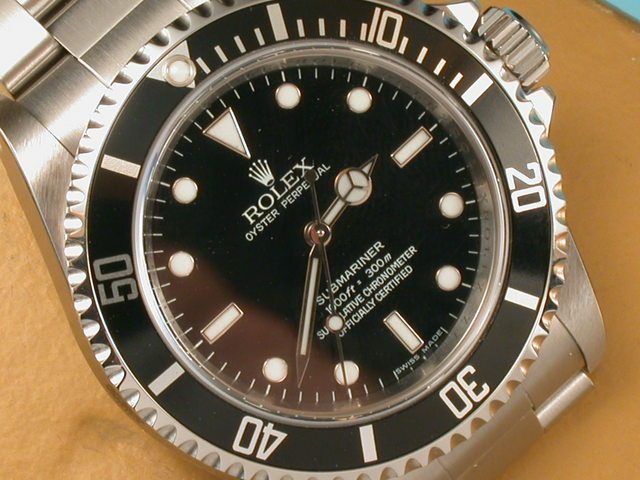 Add to this the wide serrated bezel and SuperLuminova hands and markers, and its a fantastic watch. This watch is a limited edition of 777 pieces and comes in a cool Lufthansa cargo like display box with a collectible miniature Boeing 777F model. If you are looking for your first nice mechanical watch, or just want to dip a toe into the German offerings, I can think of no better place to start than with a Sinn. They are very much tool watches, built for a purpose with reliable movements and great little details. 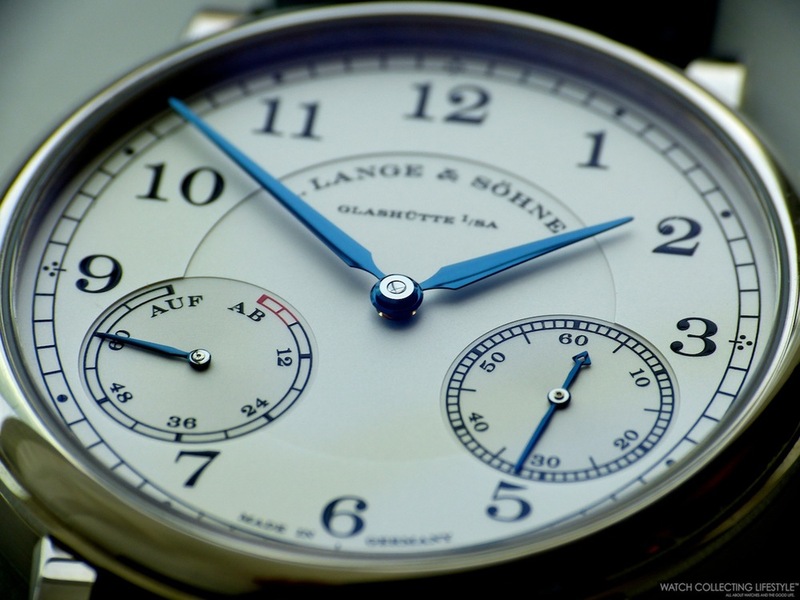 These are watches made for watch nerds in the truest sense, the engineering sense. Although they are very modern in terms of technology and materials, I feel that they are the embodiment of the pre-jewelry professional watches of the first half of the 20th century. On the last day of my trip I was aimlessly shopping when I saw a display of nice looking watches in a window display. The shop was Monocle, a curated men's shop from the company that makes a stylish men's magazine of the same name. Past the leather and canvas goods, clothing and a selection trinkets and books, was a jewelry case on the counter near the cash register. My eyes immediately shot to a watch called the 'Amsterdam'. These were quartz watches, I was told, but were well appointed with a sapphire crystal, lovely design and bare the signature 'Swiss Made'. A great breakdown of what 'Swiss Made' means can be found over at The Watch Lounge. I like buying watches when I'm traveling, especially from small, local brands. One of the things that really made me want to take this one home was the GPS coordinates for Amsterdam underneath the brand on the dial. Right near where I had been the last few days. I love touches like that, and it reminds me of the trip each time I wear it. I really enjoy the separate seconds sub-dial, lending a more upscale look to their watches; a smart move as it somewhat disguises the ticking of the quartz movement. The open date window, something that was recently made more popular by the Calibre de Cartier, also nods to an understanding of great watch design. The case has held up very well and maintains a polished finish, and the battery is still working several years later; things I would consider important for a watch which costs around $400. The crystal is still in perfect shape and seems to be a nice thickness. One last detail I enjoy is the yellow crown, its a happy color for a crown! Although I didn't love was the leather strap it came on, which was stiff and never broke in, it did look good when on the wrist. The only other negative, and this is likely a fluke, is that somehow an eyelash as gotten on the face of the watch, which you can see in the pictures below, near 9 o'clock. I think the hair made it in during the casing process, as the watch has yet to be opened since purchase, and shook out of wherever it was hiding during the years of use. I plan to have it removed when I need to get the battery changed someday. Overall, from my limited engagement with Fromanteel, its seems like a good mid-priced quartz brand with high finishing, lovely designs and features not usually seen in this price range. Although I don't wear the piece as much as I used to, I'm glad its in my watch lineup and reminds me of a great long weekend in a fantastic city. 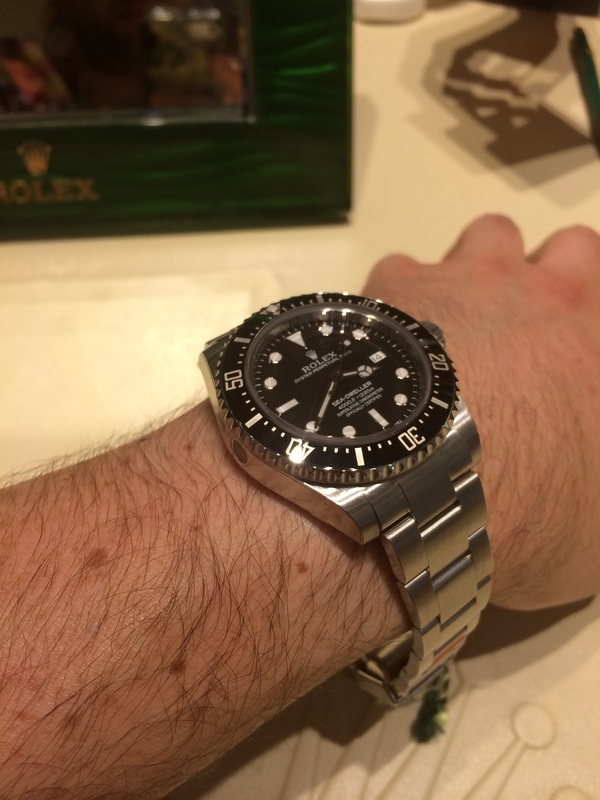 Let's Look is a new feature that puts a number of similar watches, currently available, head-to-head. We will discuss value, condition, details to look for and a final verdict. A purchase rating will be applied to each item for sale, from 1-7 stars (★), ranging from 'Don't you dare' to 'Stop everything and buy this'. HQ Milton, if you've never checked them out, always has a great inventory of vintage beauties, mainly from Rolex, Patek, Vacheron and Omega. They are offering this 1680 Red from 1970 with a a Mark 4 dial and creamy patina for what I feel is a reasonable price these days. Great patina on the dial with a slightly more yellow color on the hands. Original open 6's and 9's dial. Appears to have original 'Fat Font' bezel in good shape. All lume plots are even and keeping their shape. Very minimal corrosion on the hands. Great original top hat crystal. Some bubbling on the dial, which is a minus. There are a number of oily spots on the dial, not ideal but not distracting. Movement parts appear to be a little dirty. Between this and the dial oilspots, there may have been a 'home service' in its past. Backed by a business, not a lone seller. Good pricing, but with a few minor tradeoffs. I like buying off forums, I just do. One big plus is that it keeps you off the grid (if that sort of thing is important to you). In addition, its nice to support the community, and if you have a relationship with a seller, you can get unheard of deals. 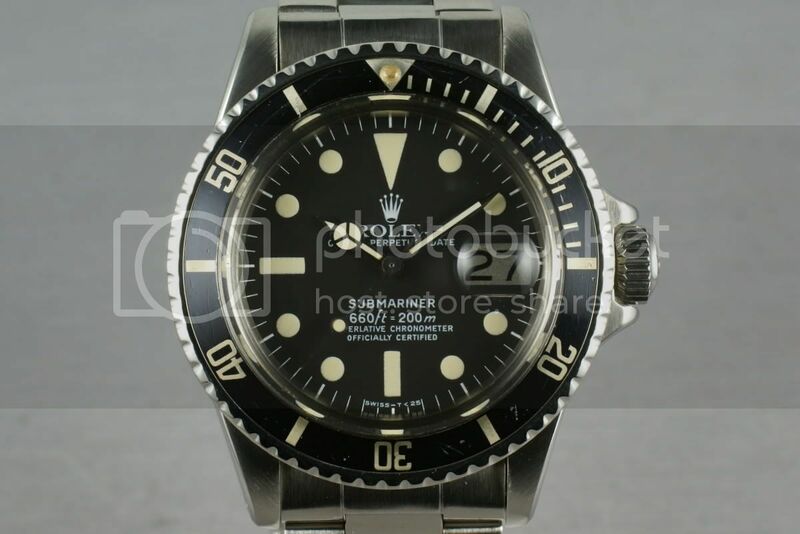 WatchRecon turned up this 1680 which comes with a lot of great extras and looks to be in good condition. Slight patina, but it is consistent across hands and dial. Silver open 6's and 9's dial. No apparent corrosion on hands. Comes with a dome crystal, but original top hat crystal is included in purchase. Serviced by RSC recently, includes some paperwork, tags, green wallet and Anchor charm. Deep black, like new Fat Font insert. Updated 93150 bracelet in good condition. Two leather cordovan straps included. Polished, but thick case with good lugs. Excellent value due to low market price and extras included. eBay is the true watch battleground. Some hate it, some are scared of it, and some love it. I have personally bought and sold several pieces over eBay, and overall, its been a pretty positive way to get my hands on some interesting timepieces in a convenient way. Right now there is a somewhat beat up, but cheap Red Sub. Let's give it a once over. Nice color patina on the dial hour markers, but a bit dirty. A little over-polished but done well at least. Lugs are getting thin. Top hat crystal, either original or a replacement, unclear. Dubious mechanical condition and service history. The crown appears to be too small and incorrect. Large chips all around the outside of the dial, missing a lot of minute indices. Date wheel looks correct to be original. 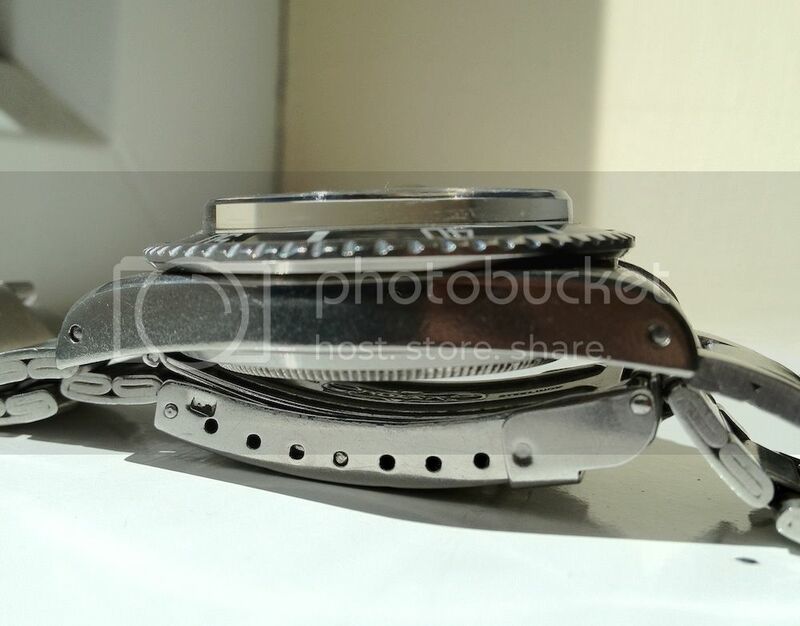 May not have the original caseback, seller is unsure. Very cheap, but for the same money you could have a mint 1680 White, which is likely a better move. Not really a collector grade piece, thus the price. Disclaimer: The opinions written are for entertainment purposes only. Nothing shown is being offered for sale by Wrist Times or its affiliates or owners unless explicitly noted. Prices are subject to change without notice. Images may be digitally enhanced or altered. Details may be incorrect or assumed based on limited information. Wrist Times does not endorse, vouch or warranty any seller, buy from them at your own risk. 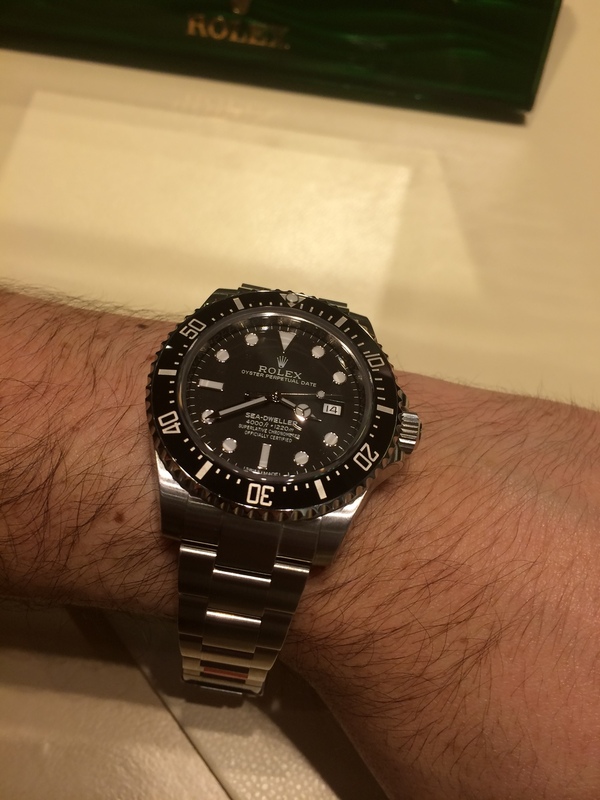 Wrist Times does not accept or solicit compensation from watch sellers who may or may not be listed herein.